It's been nearly 175 years since the first wine grapes were planted in Napa Valley. The 1850s ushered in Napa's first commercial wineries, which totaled 140 by the end of the 19th Century. But the region's wine industry suffered devastating setbacks in the early 20th Century. Phylloxera decimated much of the vineyard acreage, and the dawn of Prohibition in 1920 virtually closed the door on Napa's burgeoning wine industry. In the decades that followed the end of Prohibition in 1933, Napa slowly recovered, building wineries and adopting sophisticated winegrowing and winemaking techniques. But it was the Paris Wine Tasting of 1976 that forced the world to take a closer look at Napa. When a Napa Valley Chardonnay and Cabernet Sauvignon bested some of France's most renowned labels in a blind tasting, Napa Valley's irrefutable reputation as a world-class wine producer was born. The valley floor – Highway 29 Districts: Coombsville, Oak Knoll, Yountville, Oakville (the heart & soul of Napa), Rutherford, St. Helena, Calistoga to the north. The western mountains – The Mayacamas boasts three AVAs. Mount Veeder, Spring Mountain District, directly west of St. Helena. Adjoining to the north is the Diamond Mountain District. The eastern mountains – With Howell Mountain and Atlas Peak positioned several miles southeast. Napa Valley Cabernet Sauvignons have developed a reputation for excellence – which is generally well deserved based on the overall quality of the wines produced in the past 20-30 years. However, at what price? Since many sell for upwards of $75 a bottle (retail), with prices in restaurants not uncommonly exceeding $150 a bottle, for even current vintages - many of these wines appeal primarily to connoisseurs, especially collectors. In fact, more than a few retailers report that too many brands are at a price point that too few consumers are willing to spend for accompaniment to a weeknight dinner. So, what’s the average consumer to do? Avoid these wines altogether? Save up for a bottle for a special occasion? Not likely. With some careful selection there are a number of brands out there in the more sensible range of $25-$55 a bottle (retail) offering excellent value and palate pleasing aesthetics. 2009 – Overall excellent quality fruit was produced from an almost ideal growing season, with plentiful rainfall and moderate temperatures that allowed for slow ripening of grapes, with rains in mid-October not a problem for most vintners. 2010 – Most properties produced superb fruit as a quite cool and wet spring led into a rather cool, dry Summer with a number of heat spikes and followed by a very hot harvest season and late October torrential rains. The only downside was that some of the grapes grown at higher elevation vineyards showed uneven ripening. 2011 – A very difficult year with much smaller than normal yields because of a large amount of rainfall in the spring, a quite cold summer, and rain again in the harvest season. Most vintners report that grapes were picked with lower sugars than normal making for lower alcohol wines, many of which are very elegant. 2012 – A classic vintage, with adequate rainfall, moderate summer temperatures and a warm harvest season allowing for grapes in most area to uniformly reach full maturity without much intervention. 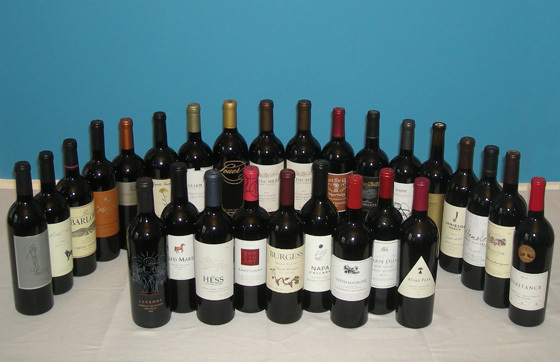 The Fifty Best held a recent release “blind” tasting of 27 Napa Valley Cabernet Sauvignons with 16 pre-qualified wine judges. The retail price points for the wines had to be between $25 and $55. Strict tasting rules were applied. The order of service for each vintage group was established beforehand by lottery. Each of the wines were poured into fresh wine glasses from new sealed bottles, and served at room temperature. Only ice water, unflavored unsalted crackers and white bread were available to cleanse the palate. Wines of a particular vintage were tasted as a group, with medals awarded on the basis of the panels’ rating of all the wines from that vintage. The judges wrote down their impressions of each wine on score sheets. The scoring was done on a 5-point system, with 5 as the best. Double-Gold, Gold and Silver medals are awarded based on a set range of final point scores received from the judges. There were no bronze medals awarded for this tasting. The rocky shale soil at the Don Thomas Vineyard in the western hills of the Rutherford area feature vines that produce very small grapes which provide the fruit for this 100% Cabernet Sauvignon that spends almost two years in new oak before bottling. 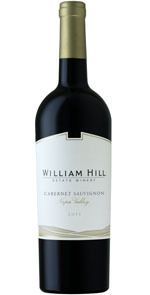 Aroma: Dark fruits, boysenberry, tropical fruit, juicy, chocolate, port, black pepper, spice, cedar. Palate: Ripe plums, fruit forward, jam, juicy, plush, pepper, lovely oak, robust, controlled tannins, balanced, well integrated, ultra-smooth. 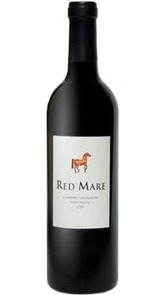 Finish: Fruity, leather, light spice, tannic, concentrated, soft, elegant yet full-bodied. From grapes sourced from vineyards in the St. Helena and Rutherford areas, this wine contains a blend of over 90% Cabernet Sauvignon and smaller amounts of Merlot and Petit Verdot, aged in French and American oak for 26 months before bottling. Aroma: Cassis, bell peppers, violet, floral notes, musty, chocolatey, toffee, tobacco, spice, oak, complex. Palate: Cherry, cherry skins, raspberry, plum, apple, pear, well integrated fruit & oak, cedar, mint, floral, white pepper, touch of black pepper. Finish: Ginger, mango, grape, cranberry, allspice, lovely wood, oak, light, long, gently fades. 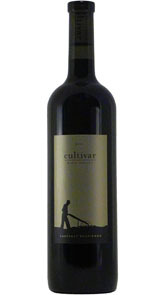 From a blend of 76% Cabernet Sauvignon, 15% Merlot and the remainder from equal parts of Petit Verdot and Malbec grown on the Darioush Estate Vineyard, this wine was aged 22 months in primarily French and European oak barrels prior to bottling. Aroma: Black currant, cassis, cherry, fruity, floral, hint of menthol. Palate: Ripe strawberry, black cherry, currants, ripe plums, jammy, fruit forward, hint of orange peel, vanilla, leather, mint, good tartness, complex. Finish: Cigar box, anise, tart, mineral, light, soft, long lasting tannins. Made from Cabernet Sauvignon grapes from the prized Louer Family Vineyard, this wine was aged in French oak barrels for 24 months and then blended with small amounts of Petite Sirah and Merlot. Aroma: Blueberry, blackberry, cassis, plum, raisin, leather, eucalyptus, menthol, floral. Palate: Sweet dark cherries, red currant, juicy, lush, hint of milk chocolate, toast, black ginger, earthy, oaky, tannic, complex, well integrated. Finish: Eucalyptus, mushroom, light tobacco, leather, hint of new oak, tannic, long. Crafted by winemaker Rolf Holdenried, this blend of Cabernet Sauvignon (92%), Petit Verdot (5%), Petite Sirah (2%) and Merlot (1%) reflects the aesthetics of wine from grapes grown in the Southern Napa and Silverado Trail areas. Aroma: Cassis, dark fruit, bell peppers, jalapeño, grassy, wood, earthy, intense, rich. Palate: Plums, cherries, raspberry, berry, violets, coffee, pepper, spice, leather, oak, good backbone, chewy, complex. Finish: Fruit lingers, mint, mineral, light tannins, soft, short. 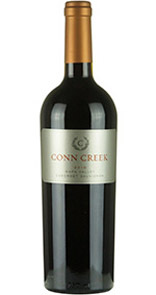 Produced from grapes grown in the foothills of Napa’s slightly cooler Oak Knoll District, which is noted for less tannic, fruit forward easy-drinking Cabernet Sauvignon wines. Aroma: Cherry, cassis, fruity, chocolate bar, floral, spice, hint of tobacco. Palate: Currants, plums, berries, pomegranate, roses, cocoa, coffee, tobacco, hint of leather, lush, full, very well-balanced. Made from 100% Cabernet Sauvignon grapes grown on a prized 13 acre vineyard surrounding the winery in St. Helena and named after Mario Trinchero, this wine was aged for 20 months in French oak (90% new) before bottling. Aroma: Floral, violet, ripe blackberry, cherry, black cherry, cassis, plum, jam & toast, carnation, green herbs, spicy, peppery. Palate: Plums, berries, blackberries, cassis, juicy, vanilla, light tobacco, oak, balanced. Finish: Cherry, fruity, spice, soft, pleasant, elegant, long. Blended from 90% Cabernet Sauvignon grapes(and small amounts of Petit Verdot, Malbec, Merlot, Syrah and Petite Sirah) sourced from a number of Napa Valley locations, including Atlas Peak, Spring and Howell Mountains, this wine was bottled without filtration from lots aged 28 months in new and one-year-old French oak barrels. Aroma: Berry, mixed berries, cassis, green peppercorn, red pepper, leather, earthy, moss, hint of hay. Palate: Ripe cherry, dark cherries, raspberry, cassis, mint, pepper, leather, light oak. Finish: Tart cherry, mushroom, mineral, light, medium. From a blend of 94% Cabernet Sauvignon, 4% Merlot and 2% Petit Verdot, this wine was aged 20 months in 1-4 year-old, mostly “medium-toast” French oak barrels and some American oak barrels before bottling. Aroma: Delicate blueberry, dark fruits, cassis, floral, chocolatey, leather, mushroom, earthy, spice, wood, oak. 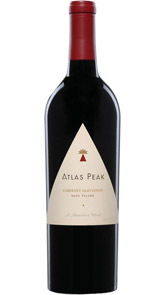 Palate: Bright black cherry, cherry, fruity, violets, oaky, oak barrel, spicy, hint of tobacco, well balanced, pleasant. Finish: Juicy, light pepper, bell pepper, tobacco, soft, balanced, short. 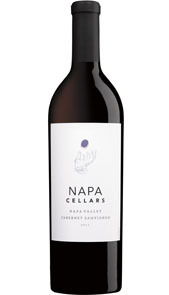 From the southernmost winery in Napa Valley, this 100% Cabernet Sauvignon was barrel fermented and barrel aged (18 months in French oak) prior to bottling. Aroma: Dark fruits, cherry, prunes, coffee, floral, eucalyptus, earthy, leather, oak, wood notes. Palate: Fruit up front, cherries, strawberries, plum, prunes, red pepper, dark chocolate, coffee, leather, oak, cedar, complex, balanced, wonderful fruit. Finish: Anise, tart, balanced, smooth, lingers. 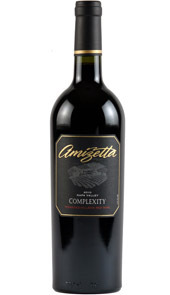 Using sustainable practices, for over the past 30 years Amizetta and Spencer Clark have been producing 100% Cabernet Sauvignons from a steep, rocky, terraced hillside parcel of land – with an elevation of over 1,000 feet. Aroma: Dark cherries, plums, cassis, fresh berries, cedar, leather, slight mint. Palate: Plums, bright cherry, cassis, currants, jammy, vanilla, bell pepper, tobacco, oak, well balanced, smooth. Finish: Creamy vanilla, green peppercorn, tannic, oak, light, smooth, lingering. 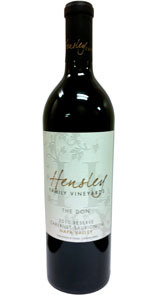 From the iconic Don Sebastiani & Sons, the majority of grapes used for this blend of 90% Cabernet Sauvignon, 6% Petite Verdot and 4% Merlot are sourced from carefully selected vineyards in Oak Knoll, Calistoga and Yountville. Aroma: Strawberry, rhubarb, orange zest, fruity, chocolate, leather, cedar, oak. Palate: Coffee, chocolate, rhubarb, fruity, berries, orange, light ginger, big. Finish: Light cherry, tart berries, minty, easy, long. From grapes sourced from a variety of Napa Valley vineyard areas, particularly Atlas Peak and Spring Mountain, this blend of 94% Cabernet Sauvignon, 3% Cabernet Franc, 2% Merlot and 1% Petit Verdot was aged in French oak for 8 months before bottling. Aroma: Cassis, apricot, fruity, butterscotch, floral, rich spice, cinnamon, mint, woody. Palate: Currants, cherries, citrus fruit, licorice, earthy, oak. Finish: Peach, nectarine, cinnamon, light, short. 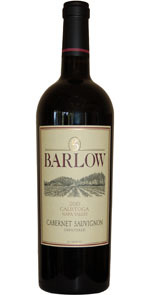 From Cabernet Sauvignon grapes grown in lyre-trellised, downslope vineyards, production was only slightly more than 500 cases of this 100% Cabernet Sauvignon wine, aged for 23 months in French oak and bottled unfiltered. Aroma: Ripe cherries, black cherry, berry, cassis, plum, fruity, black pepper. Palate: Currants, plums, blackberries, white pepper, dusty, earthy, soft leather, oak, cedar, big, round, lush. Finish: Fruity, sweet pepper, tannic, oaky, soft, smooth, well balanced, long. This 100% Cabernet Sauvignon is made from grapes grown on the Rutherford Bench Usibelli Vineyard - that contains soil dominated by marine sedimentary elements with some volcanic deposits – with the wine aged in French oak barrels for over 14 months before release. 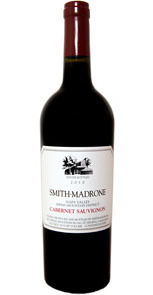 Aroma: Blackberry, dark fruit, leather, spice, allspice, hints of menthol, tobacco, American oak, wood. Palate: Hot chocolate, dark chocolate, dark fruits, concentrated fruit, cherry licorice, buttersotch, leather, oak, complex, well-balanced. Finish: Light pepper, smooth, soft, clean, long. Produced from grapes grown on the Hess Veder Hills Vineyard, at an altitude of 600-1,200 feet above sea level - with steep slopes and sedimentary clay and shale soil producing small berries with intense fruit flavors. Aroma: Blueberries, black cherries, ripe black plum, jammy, floral, hints of bell pepper. Palate: Berries, ripe fruit, prunes, slight chocolate, light leather, soft tart plum skins, mint, mineral, light tannins. Finish: Spice, almond, vanilla, leather, creamy, cocoa, soft, smooth, short. From vineyards at 600-1,200 feet above sea level containing a combination of shale deposits and volcanic and serpentine soils, this blend of 85% Cabernet Sauvignon 3% Merlot, 6% Malbec and 6% Petit Verdot was aged for 20 months in French and Hungarian oak barrels prior to release. Aroma: Cassis, tobacco, peppery, musty, oak. Palate: Tart cherry, cassis, dark chocolate, jammy, peppery, leather, earthy, umami, cherry wood, oak, great lively acidity, soft tannin. Finish: Finish: Tannic, fruity, gentle, delicate, medium. This wine is made from 100% Cabernet Sauvignon grapes sourced from the Reynolds Family Estate Vineyard and aged in French oak for 18 months before bottling. Aroma: Dark fruits, plum, cherry, complex port notes, licorice, leather, oak, earthy, mineral, harmonious. 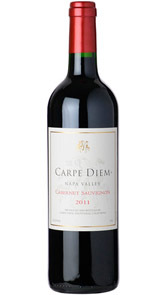 Palate: Dark cherries, plum, sweet red apple, fruit balanced with oak, violets, bell pepper, vegetative, leather, allspice. Finish: Red cherry, ginger, tannic, short. From grapes grown at the top of Spring Mountain (1,000 foot elevation above sea level) in soil containing sedimentary rock and volcanic elements, this blend of 85% Cabernet Sauvignon, 9% Merlot and 6% Cabernet Franc is aged for 21 months in a mix of French and American oak prior to bottling. Aroma: Grassy, green bell pepper, peppery, jalapeño, fruity, berries, vanilla, mixed flowers, spice, hay, leather, lovely oak. Palate: Plums, mushroom, leather, tobacco, oak, creamy, lovely wood, opulent. Finish: Cocoa, light white pepper, leather, tart, medium. From 100% Cabernet Sauvignon sourced from Scigliano Vineyard in Calistoga, the grapes were fermented for 23 days with the wine aged in oak for 25 months before bottling with “racking” three times yearly. Aroma: Blackberry, currants, cassis, earthy, peppery, cedar, oak, leather. Palate: Currants, berries, prunes, cocoa, leather, light anise, licorice, cloves, mint, light oak, lush, balanced, medium bodied, pleasant. Finish: Tart cherry, raspberry, light vanilla, mineral, soft, full bodied tannins, smooth, long. Produced from 100% Cabernet Sauvignon grapes grown on a 13-acre vineyard at the southern end of the St. Helena sub-appellation (and hand-picked over a month), this wine underwent 18 months of barrel aging in 100% French oak (75% new) before release. Aroma: Cherry, blueberry, cassis, carnations, floral, mushroom, slightly vegetal, earth, oak, mineral. Palate: Fruit compote, fruity, fruit flowers, boysenberry, juicy, toast, wood, cedar, mild tannins. Finish: Good long tannin, nice oak, light earth. Sourced from vineyards grown in soils ranging from volcanic ash to rocky marine sediment on the steep slopes of Howell Mountain, this wine is aged for 22 months in oak barrels prior to bottling. Aroma: Clover, cassis, dark cherries, red bell pepper, mint, aged wood, oak. Palate: Red plums, plum, jammy, violets, light tobacco, clove, leather, oak, very bright mid-palette. Finish: Blackberries, green peppercorn, spice, mineral, smooth, oak. From grapes sourced across all of Napa Valley this 100% Cabernet Sauvignon was aged 18 months in French oak barrels (32%) prior to bottling. Aroma: Plums, blackberry, very floral, herbal, lightly spicy pepper, peppery, leather, harmonious. Palate: Plums, currants, cassis, cherry, mocha, some oak, light spice, smooth, well balanced. Finish: Cherry, white pepper, light, long. This 100% Cabernet Sauvignon, food friendly wine, contains grapes sourced from a number of small vineyards in Napa Valley, particularly Crocker, Fish and Alsace Vineyards. Aroma: Ripe cherry, black cherry, cassis, minerally, wood. Palate: Sour cherries, currants, plums, soft leather, light oak, clove, smooth, linear acidity, balanced. Finish: Tart cherry, licorice, tannic, soft, balanced, long. With grapes sourced from the St. Helena, Howell Mountain and Rutherford Napa Valley sub-appellations, this wine is aged for 12 months (33% in new French oak and 65% in 1-2 year-old barrels) and then bottled. 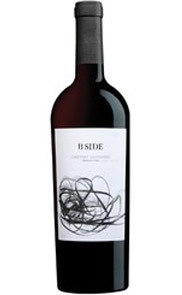 Aroma: Dark fruit, dark cherries, plums, cassis, berries, green pepper, mint, tobacco, leather, bright. Palate: Ripe fruit, plums, berries, vanilla, coffee, bell pepper. Finish: Hint of black pepper, wood, pleasant, tannic. 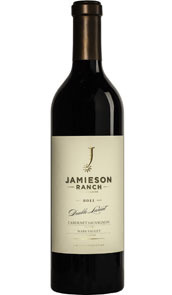 From a blend of 82% Cabernet Sauvignon and smaller amounts of Merlot, Cabernet Franc and Petite Sirah this wine was fermented in stainless steel and aged for 18 months in French oak barrels (25% new) before bottling. Aroma: Light cherries, strawberry, cassis, grape lollipop, spearmint, earthy notes, oak, wood. Palate: Red dark berries, cassis, fresh fruit, dark unripe plums, vanilla, clove, anise, soft tobacco, dusty, leather, easy, approachable. Finish: Ginger, slightly tart, black pepper, mushroom, mineral, oak, soft, gentle, balanced, short. The grapes for this wine were sourced from select vineyards across Napa Valley, with oak used sparingly to allow the wine to maintain its vibrancy and freshness. Aroma: Cranberry, green bell pepper, red pepper, leather, hint of tobacco. Palate: Cassis, cherry, currants, fruit forward, bell pepper, slightly floral, earthy, leather, oak. Finish: Blackberry, tobacco, earth, wood, crisp, short.